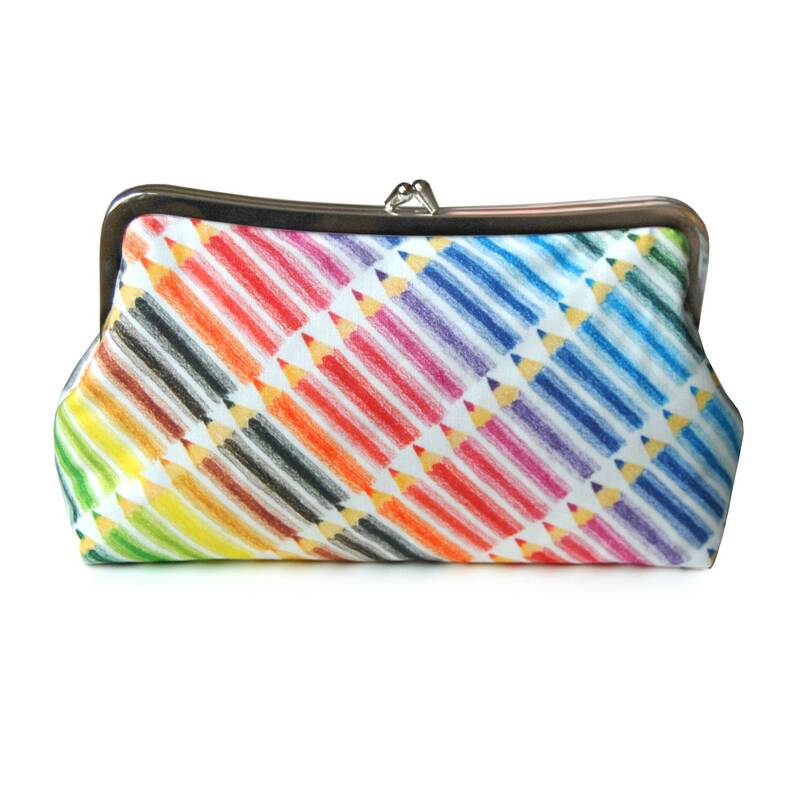 This colorful clutch purse stands out in a crowd. 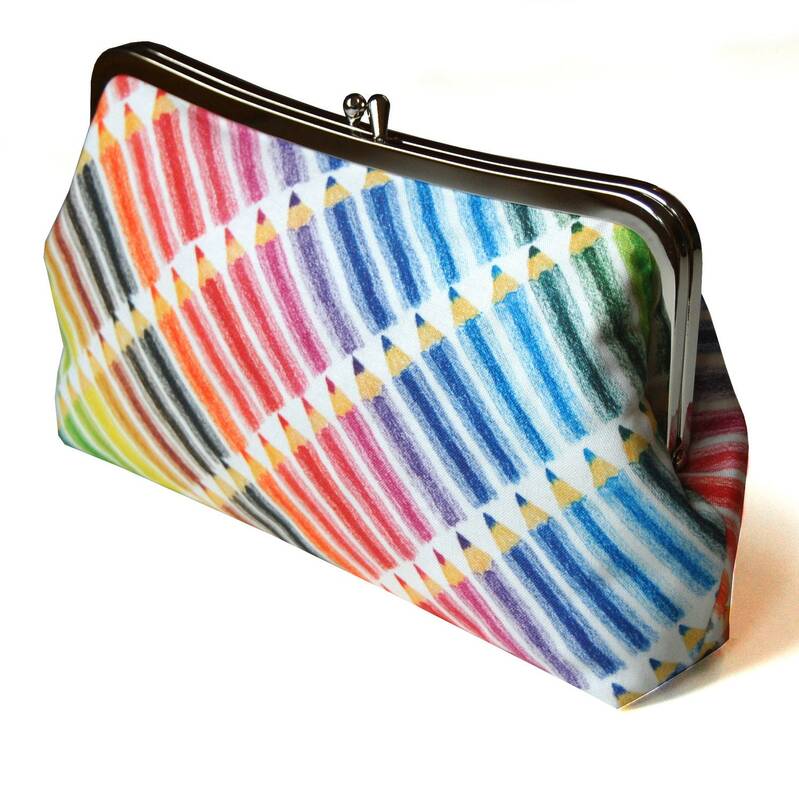 Wouldn't this colored pencil purse be the perfect teacher gift or artist gift? 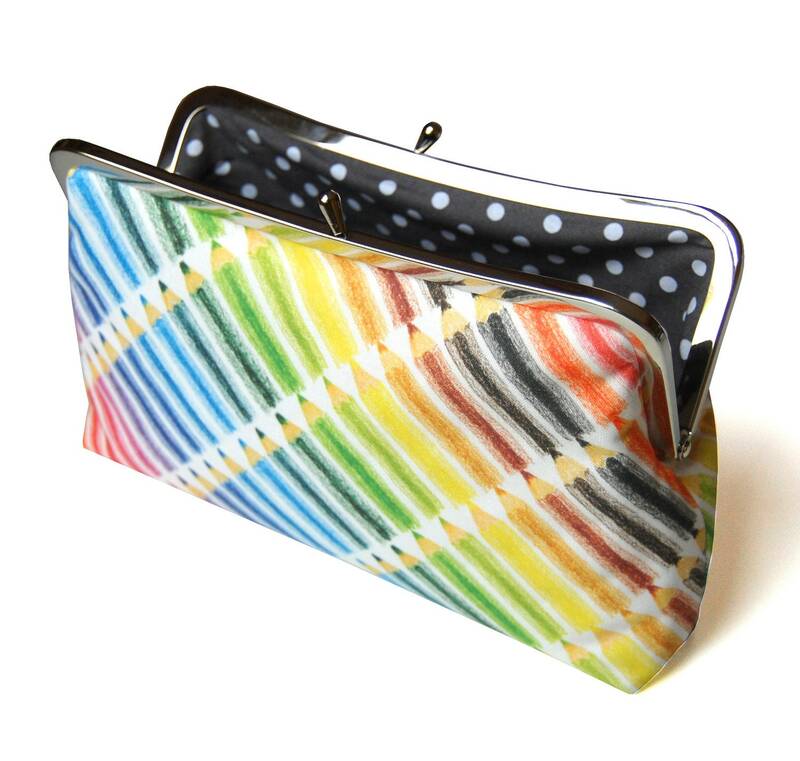 This colorful fabric purse is perfect for back to school! 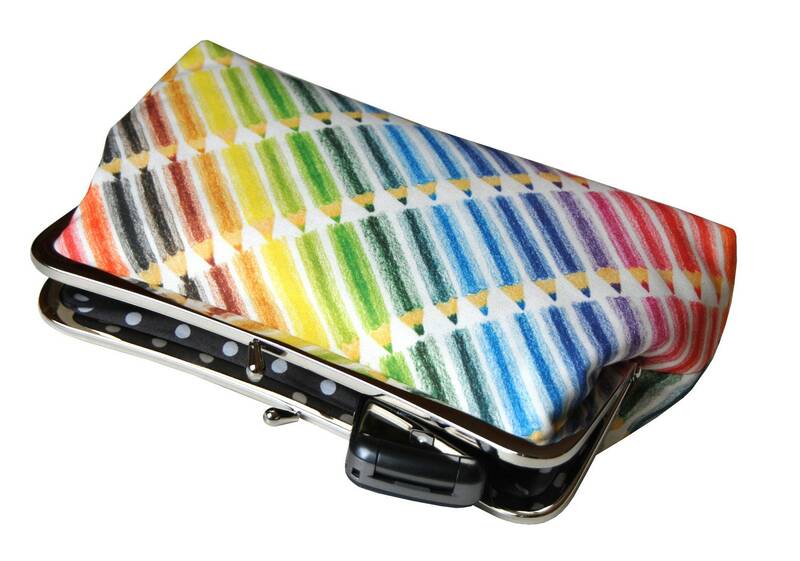 -The rainbow purse has a beautiful print of hand-drawn colored pencils on a bright white background. It was made by a very talented artist, Shelleymade (I love supporting independent designers!) I love how the colorful print looks so linear and geometric from afar, and a little quirky up close once you realize that the pattern is actually pencils. -I made the inside of the colored pencil handmade bag in a subtle gray polka dot print. I love the contrast of the neutral gray color with the bright colors on the outside of the bag. 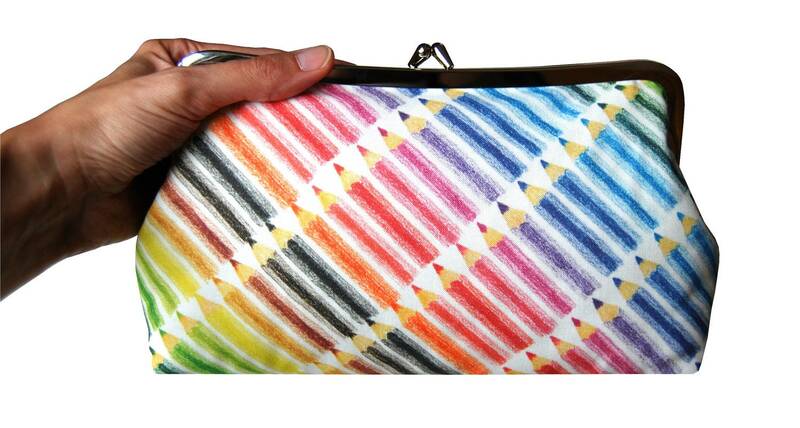 -The fabric purse is the perfect size to carry all your essentials - phone, makeup, credit cards, and keys.